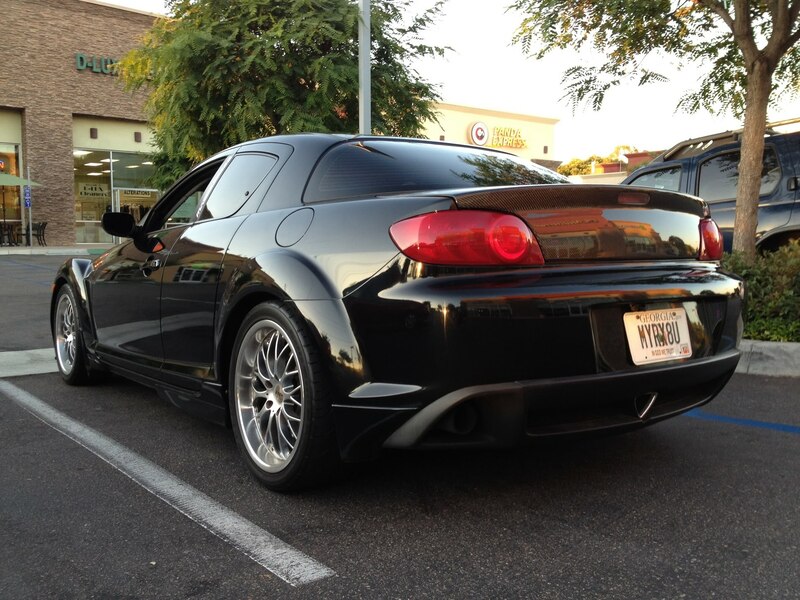 Selling the VIS Carbon-Fiber Trunk off my RX-8. It's in great condition and has a near perfect fitment. Sorry to get off-track, but what wheels those? I'm assuming HP? Last edited by Firehawk; 08-29-2013 at 09:07 AM. They're HP Racing Evo's. I'm not sure if they come in other finishes. They're 18X8's with 235/40/18 Federal tires with like 80%+ tread life left. While I do like the style, I'm really leaning towards darker wheels. Maybe black or anthracite. I just picked up an 09' and I'm not a big fan of the wheels that were put on it previously. You can always have the center power-coated for cheap. These wheels are pretty used, so it wouldn't be a terrible idea anyways. If I sold them, I'd probably only ask for something like $800 total which would include the tires. If you're in Woodstock, you're literally only minutes away from me too. Hey, I ended up getting an R3 at the last minute instead of the GT I was looking at, through some amazing twist of fate. I love the stock R3 wheels as-is so I'm not in the market anymore, however I didn't want to ignore your response. Good luck with the sale. I would love to see your RX-7 one of these days! Are you willing to ship the trunk?